My blog post, the Passage of Time from over a year ago was pretty inspirational. Where am I now? Well, I’d still like to blog and journal again. And I’ve lost even more in life. My uncle last year. My nana just a week ago. I’ve gone round and round with grief since dad passed. Any you know what? I’m missing out on life. My kids are growing up way too fast. My body has deteriorated dramatically the passed couple of years. I’ve been neglecting my health. I’ve been a serious adult too much. I’ve not “played”. I’ve not indulged my curiosities. I’ve turned everything into a chore, a have to. And that’s really sad. How about the I get too or the I want to or the I’d love too. And it’s not stuff; it’s attitude. It’s not time; it’s stress. It not exercising. It’s not enjoying. It’s not celebrating. My dad, my uncle, and my nana, if they were here would tell me to enjoy life and not let it pass by. To focus on family, because they’re all you have. And that’s the key. Stop. Enjoy. Spend time playing, laughing, and celebrating. It’s no use having anything, even the passing day, if I can’t figure out how to enjoy it! I had the privilege of helping with a high altitude balloon launch on a team for West Jackson Elementary School. The team was lead by Ben Probes and included teachers, parent volunteers, members of the West Jackson Fire Department, and Tricounty Amateur Radio Club. The balloon was equipped with a camera, pressure and temperature sensors, an APRS beacon, and a Verizon GPS. I worked on the APRS beacon, which worked properly during testing, but apparently had a failure of the GPS receiver. As a result, the APRS radio packets did not contain GPS data and the Verizon GPS was used to recover the balloon. I made a short video where I attempt to cover antenna theory basics or as I call it "black Magic". I finally decided to expand out of the VHF/UHF bands into HF. 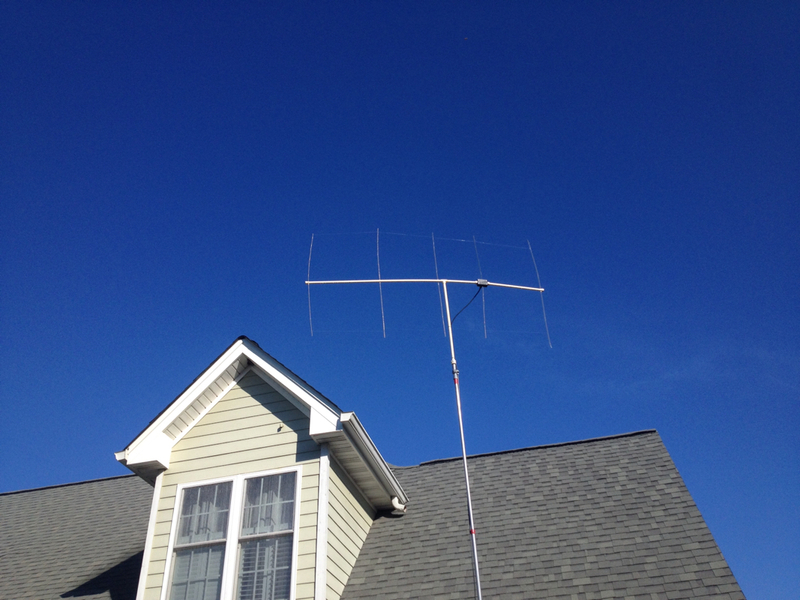 I wanted an "invisible" antenna, so I'm starting with an attic mounted G5RV antenna. The junior version from MFJ that covers 40 meters through 10 meters on the ham bands. Antenna mounted as high as practical. You can see it's clear of metal objects and the ladder line goes off to the right at a 90 degree angle. Not ideal, but I'm avoiding routing it near any air ducts and wiring in the attic. Since I have a hip roof, the radials are bent down. The supports are wire tie loops supported with nylon twine. This radial gets the closest to metal. The foil on the ducts may cause the antenna to have a null or contribute to an unwanted noise gain. You can see the end insulator, again supported with twine. And the duct work I'm trying to avoid. Here is the ladder line to coax transition. This was my first time installing a UHF connector on coax. It turned out neat with the blue heat shrink. Also, since this is a balanced multi-band antenna (not usually reasonant), MFJ recommended constructing a balun by looping the coax. This is 10 loops around 5" in diameter. The function of the loops is to provide high impedance to any common mode current. Ideally, in a balanced antenna, balanced feed line, all of the current would be differential mode. That is the current on the coax shield would be equal and in opposite direction from the current on the center conductor. If that's the case, the loops will not add impedance to the current and all the energy is radiated by the antenna. However, any current on the shield in addition to the differential mode current would see the inductance of the loops. That inductance helps to prevent and minimize common mode currents. You don't want common mode currents because they add to the noise of reception and can cause problems during transmission. This is because the common mode currents cause the coax to act as an antenna, and some of the energy is radiated by the coax shield instead of the antenna. We'll see how it works when we get everything hooked up on the radio end. Hopefully one day I'll be back to working on things that make sense to post here. 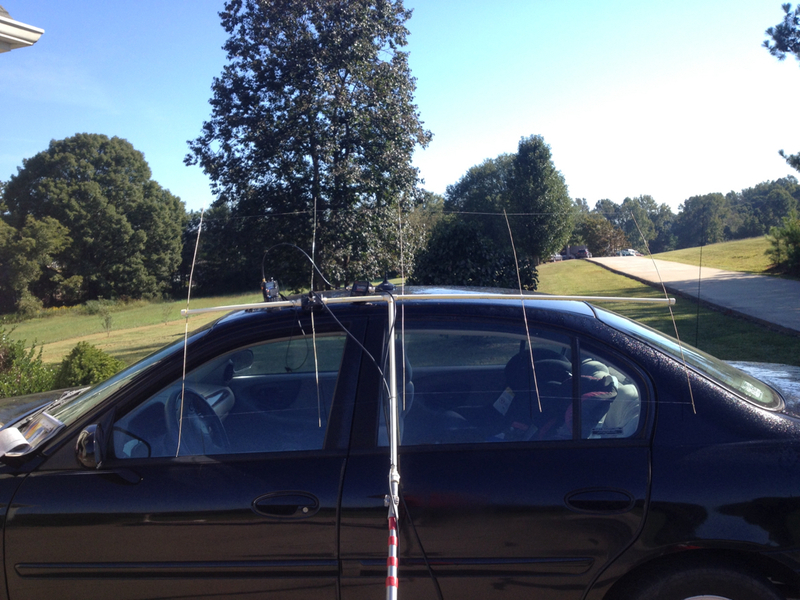 I put my new home brew Yagi antenna up for a few minutes this past week. Mounted around 17 feet in the air, on the end of a painter&apos;s pole. 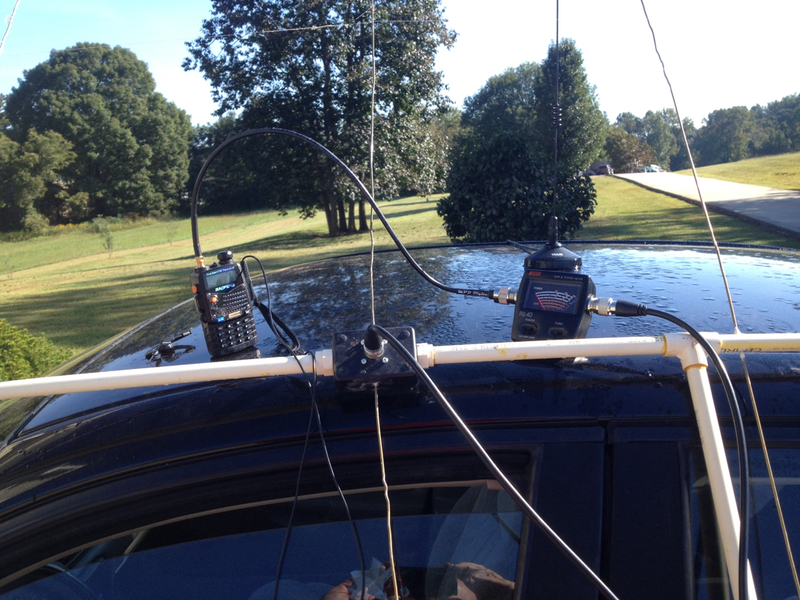 I was hitting the repeater at Ga Tech and Bank of America building 50 miles away with this set up. Leaned up on the car. The 2M 5 element Yagi is 66 inches long and 40 inches tall. Made out of 1/2 inch CPVC, six metal clothes hangers, and a few other parts. I&apos;m going to add a few braces to support the pipe. Handheld radio and SWR meter to test antenna. The antenna tested pretty good (1.2 to 1.4 SWR or 3% signal loss). You can see the input connection on the antenna as well. There is nothing in the box, no balun, no matching network. Just one end of the driven element soldered to the center of the connector and the other end attached to the outer shield by being wrapped around a screw and compressed with a nut. The insulating material on the outside of the clothes hanger wire was scraped off at the connecting ends. I designed the antenna with a free software package called 4NEC2. Simulated properties were 1.0 to 1.2 SWR and gain of 10 db. I didn&apos;t get that good, but not bad for a pile of clothes hangers. I definitely need to add reinforcement to keep the antenna as straight as it was on the floor when I laid it out. Still, it&apos;s fun on a stick!!! And I learned a good bit researching how to build it! Dad battled cancer these past few months. On Sunday, he fought sleep until everyone he asked for came. My brothers, my sister, his sister, my mom. He had his last word with each of us. He told me he had no regrets except that he couldn&apos;t be with us longer. He was in pain and knew the end was near. He asked for hospice. They put him under and stopped the pain. He wanted to make sure my sister was cared for. A plan for her care was finalized yesterday. He wanted to make sure his granddaughter was born healthy. 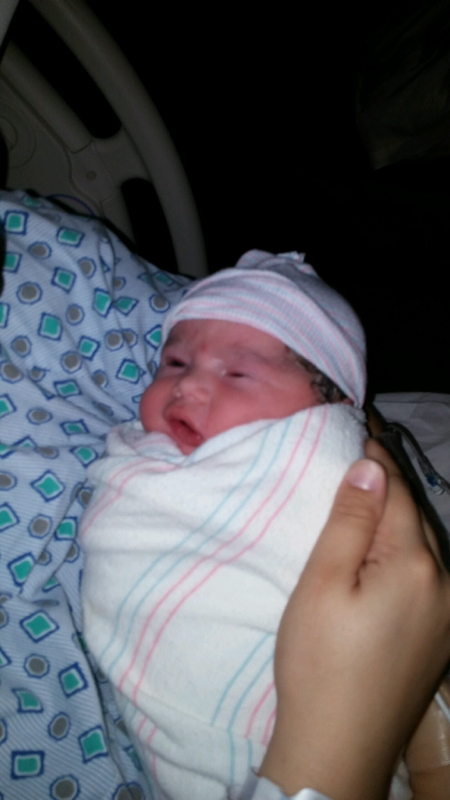 Olivia was born last night. She&apos;s a beautiful girl. The news eased his breathing, even after they reduced the oxygen. We spent the night with him. We told him about the snow this morning. 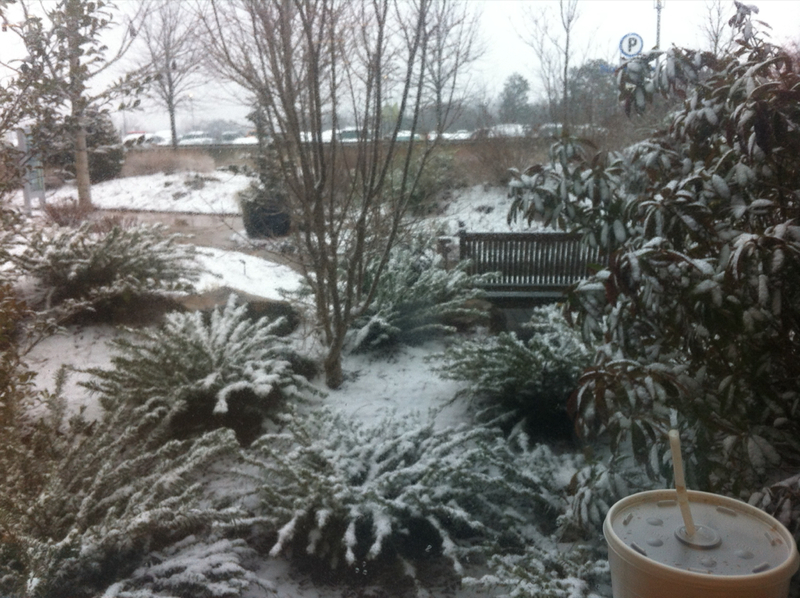 He had hoped for one more snow. Slowly his breathing ceased. Then his heart stopped. All three of us sons at his side. I know my dad passed into the glory of our Lord. United again with his maker, and his passed loved ones. No more cancer. No more pain. My daddy and my hero died bravely on his own terms. We will always love and remember him. Thank you for your thoughts, prayers, and support.